The experts are constantly reminding us: “It’s not enough to just be on social media, you have to be active on it! 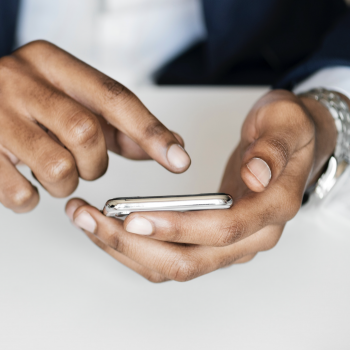 Posting content is not an end in itself; you must set concrete goals and try to achieve them.” Can you afford not to take the time to implement an effective social media strategy? “Take the time.” This is probably the main reason most companies have not yet set up a strategic approach to their social media initiatives, even though the time they devote to it would be well rewarded. By doing so, your organization could have a more structured approach, undertake more targeted initiatives and achieve truly significant business objectives. Here are some worthwhile steps, from two training sessions given at Campus Infopresse by Jean-Sébastien Giroux, Vice-President and Partner at Substance Stratégies. Several companies are already somewhat active on a few social media platforms. Before going any further, let’s take a moment to assess your existing presence. Are you an active user? Are all your profiles up to date, in terms of visual elements, description, contact information, administrator privileges, etc.? What is your goal for each social media channel? Filling in the following table will help provide an overview of your current situation. Do your communities include your target audience? 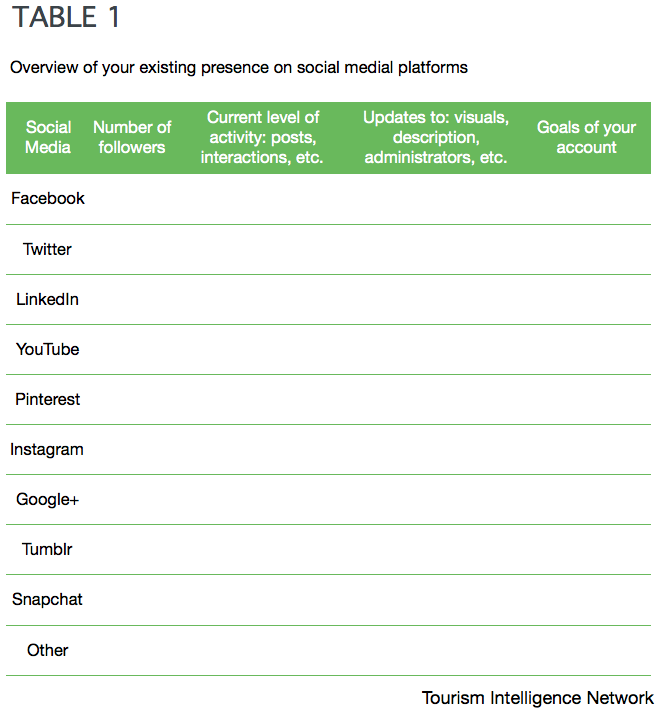 Is your presence on every social media platform actually relevant? What tactics have proven most effective in helping you reach your goals? Your goals are the reason for your social media presence, so bear them in mind when planning any activity on your various carefully chosen platforms. Recruit and network: identify new talent, promote your business to potential employees, run a recruitment campaign, network with industry professionals. When identifying your goals, try to make them as specific, realistic and relevant as possible. This will help you measure your success in achieving them. A strong knowledge of social media and of your target audience, choosing the right tactics also calls for creativity and a strategic mindset. How do you intend to achieve the desired results? In addition to a strong knowledge of social media and of your target audience, choosing the right tactics also calls for creativity and a strategic mindset. 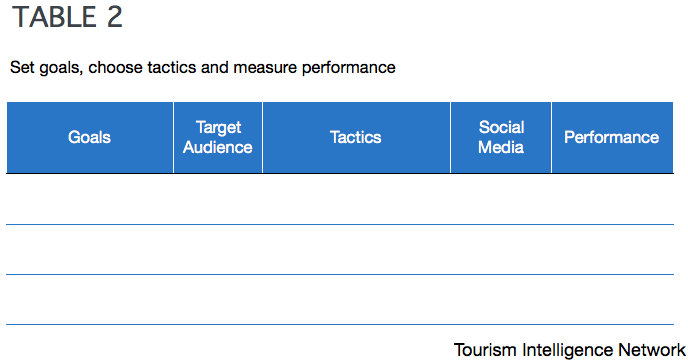 Filling in the following table will help you develop an action plan. How you measure your performance depends on the goals you have identified. Broadly speaking, you should be aware that there are a number of tools that document your social media activity, starting with those provided by social media platforms. Google Analytics and other free or paid resources can provide essential information about your activity. However, always remember the qualitative aspects, such as the quality of conversation with your audience or the value of information collected. Mastering social media means always posting content that is well-suited to the platform. Content segmentation makes your company’s presence on its chosen social platforms more relevant and means it is more likely to achieve its objectives. Listening to your communities and observing how they interact on your pages can help you identify influencers and intermediaries, define your editorial policy and how you will communicate with your audience, understand the expectations of your network and adapt your content to them in order to increase its reach. Branding your image on social media demands creativity and quality content. Publicizing that content requires planning in order to reach the right audience at the right time. Many online community leaders deal with this challenge by setting up a detailed posting schedule that gives them an overview of the content to be published according to format (text, photo and video) and type (inspirational, educational, events, promotional, etc.). 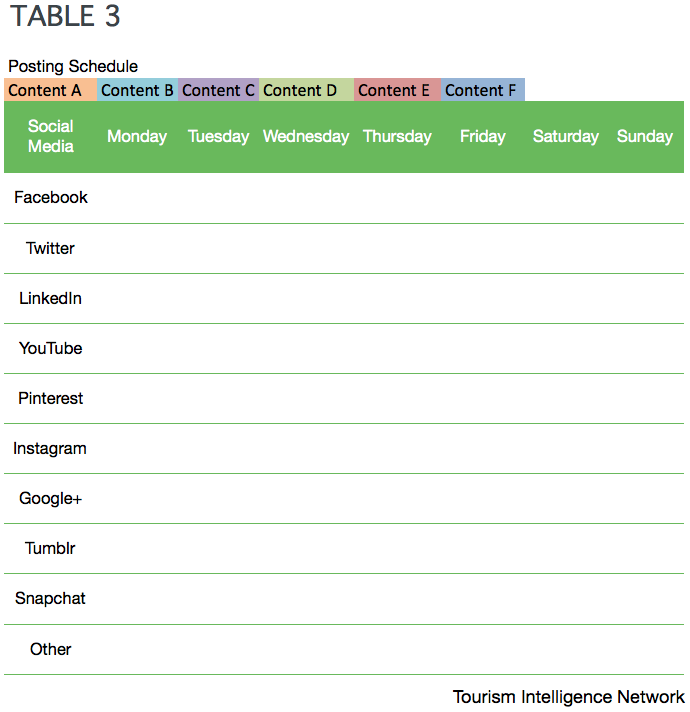 Table 3 matches each content type with a colour so you can easily visualize what to post, when, on what social media. Depending on the level of activity across the platforms, days can be broken down into hours. Being present on social media means accepting that not all interactions can be planned, nor can all discussions be controlled. You must therefore allow for spontaneity, be prepared to moderate some conversations, establish a netiquette and have an emergency plan in place in case certain situations get out of hand. 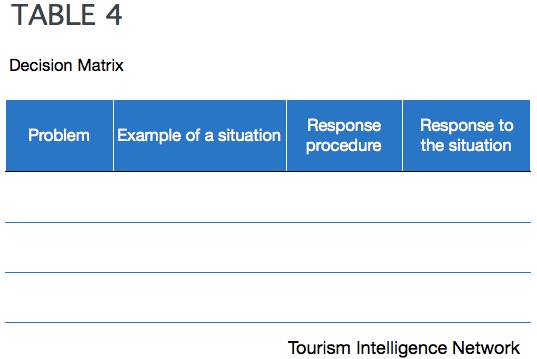 Developing a decision matrix ahead of time will help community managers decide what resources to call upon, and what decisions to make, in tricky situations. Knowing the characteristics of each social media platform, creating value-added content that begs to be shared and reshared as a means of helping you achieve your own specific goals – this is an exciting challenge! Whether you manage your social media yourself or hire an expert to do it for you, don’t waste any more time improvising. The time to create your social media strategy is now! Giroux, Jean-Sébastien. « Bâtir une stratégie de médias sociaux efficace », Formation Campus Infopresse, 10 mars 2015. Giroux, Jean-Sébastien et Lafleur, Ariane. « Créer et animer une communauté en ligne», Formation Campus Infopresse, 27 mars 2015.